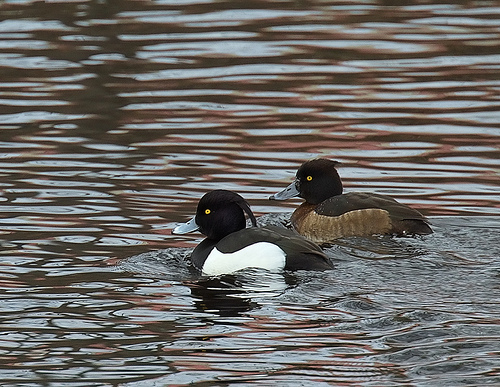 The Tufted Duck is not only a winter visitor in large numbers, but also a widespread breeding bird. Especially the male birds have the characteristic crest . The Tufted Duck has a clear crest and a black back. The Greater Scaup is greyish. 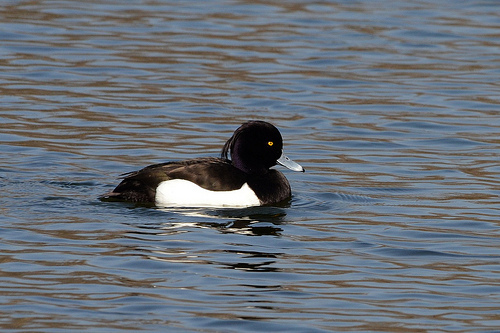 The Tufted Duck has a black breast and a black head. The Goldeneye has a white spot on his head.